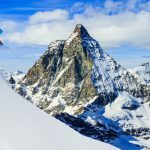 Recent heavy snow has allowed several Swiss winter resorts to open early. Some high-altitude resorts have received as much as two metres of snow. Some of the resorts that have opened are only running lifts at the weekends. Last weekend, Verbier opened the area of the resort known as Lac des Vaux. Snow up to 70 cm deep has fallen in some places, according to the resort’s own snow report. 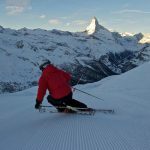 In addition, the resorts of Zermatt and Saas-Fee have opened additional areas in addition to those open for summer skiing. The resort Glacier 3000 metres which straddles the cantons of Bern and Vaud has opened some lifts too. Further East, the resorts of Andermatt and Diavolezza are running some lifts. Conditions are always changing so it’s worth checking before setting off using the links above. The snow has arrived early. Many resorts are open this weekend.